When it comes to minimal frame sliding doors or slimline sliding doors, specialist manufacturers offer a choice of several systems. One of the newest products to hit the market is the aïr 20SL sliding door, manufactured by Everglade Windows. What is the aïr 20SL sliding door? Everglade Windows’ aïr 20SL sliding door joins the already successful air 500Ls and 600LS range of sliding doors. Look at the home improvement firms that choose to sell aïr doors, and all are top tier installers with a significant product range and excellent installations to their name. Air sliding and folding doors are quality, highly-engineered doors for the discerning homeowner. Everglade Windows is one of the longest established aluminium manufacturers in the UK. The new aïr20 SL sliding door is their premium, narrow sight line sliding door featuring a 20mm interlock. Features and Benefits of the aïr 20LS sliding door. 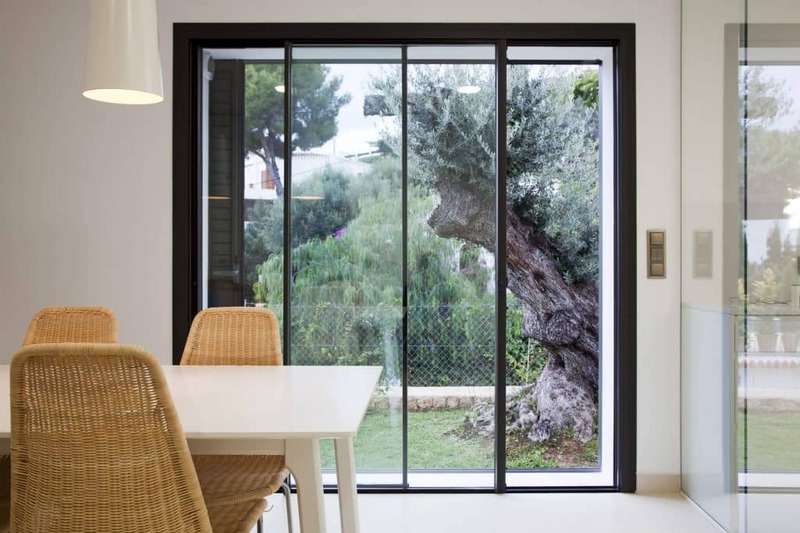 The aïr 20SL sliding door is suitable for large or small openings giving lots of natural light with a very sleek and unobtrusive appearance thanks to the bare minimum of visible aluminium. As well as the impressive 20mm interlock/vertical mullion, a further option exists to recess the perimeter frame into the structural opening to give a near frameless appearance with over 90% glass surfaces. It is impressive. The aïr 20SL is unlike a conventional patio door where the structural integrity comes from the aluminium sections. With this type of design, it is the glass that is the core component. For this reason, the doors are manufactured around quality glass units instead of being glazed on site after installation. Only the outer frame can come in kit form for site assembly. It is important to assess and understand how Everglade has approached the supply of this product. Large sliding doors need special handling and installation. Everglade understands the door industry very well, they have been a big part of it for over 35 years. Everglade knows that the majority of window companies are not ‘Grand Designs’ type home improvement firms. Many use standard size vehicles representing the typical sizes of doors, windows and glass they transport around. For this reason, the maximum widths available are 1500mm wide. The maximum height is 2800mm. Does this matter where other similar doors are bigger? Not really because for the majority of homeowners considering big sliding doors, these sizes are what most people will reasonably have when sizing their doors. Everglade is right to consider that offering a door at its maximum sizes would affect transportation of the product and how confident the average yet professional installer will be in handling it. More importantly, Everglade wants their customers to have the confidence to sell it as well without considering cranes, glass lifting equipment and the obvious associated Health and Safety considerations. We think to offer this door a maximum manageable size makes it viable for more installers to consider. It is simpler to buy, more accessible to fit and easier to handle. The Origin sliding door is also a great door but involves Origin providing specialist training and handling. Two, three, four or six panel designs. Available as a minimalist fixed aluminium window. How does the air20SL sliding door work? The aïr 20 SL slides as an inline sliding door meaning the door panels move within the frame and track. Typical of other doors of this type, inline is the only opening and closing method – it does not lift and slide. The door comprises high-tech rollers and mechanisms, meaning even the biggest doors are effortless to slide and move, a feature prominent in Everglade’s other air sliding doors. Air doors are light and effortless in use. We like how a fixed light is available with this product, giving a similar appearance to modern new extensions that want sliding doors on one elevation and large picture windows on another. We understand the fixed light frame has a minimal frame dimension of under 42mm on the face of the window and is 115mm deep. The fixed window will look great as the glass unit is centrally glazed within the profile and the modern square appearance of the frame overall. Handles are an essential part of a sliding door being not only the primary point of contact for locking and sliding but also how they work with the overall look of the door. For the air 20 SL, there is a choice of standard colours available in black, grey and inox. The doors come with multipoint locks and adjustable cams. The handles themselves are recessed into the frame sections, necessary given the slimline nature of the door profiles. You also get the option of upgraded Ultion door cylinders. As you would expect from an aluminium door, the full RAL colour range is available with extensive colour choices and the option of different colours inside and out. As standard, the doors are available in Black RAL9005 and Grey RAL7016. How reliable are these new minimalist sliding doors to hit the market? As the market awareness around these slimline sliding doors increases, one question homeowners may be asking is how tried and tested are these doors? It is true there will be manufacturers that have introduced sliding doors into their product range with no previous experience of making them. Everglade Windows is the opposite, with over 35 years experience in manufacturing aluminium and already with a tried-and-tested range of sliding door systems and brands under its belt. The aïr 20SL comes to market with all the manufacturing and supply know-how that has placed Everglade Windows as one of the most prominent manufacturers, suppliers and installers in the UK today. Any sliding door new or old is only as good as who makes it and who fits it. Should you buy the Air 20SL sliding door? The air 20SL minimal frame sliding door is refined, super slim, has top class engineering and looks fantastic. The manufacturing prestige of the company behind the product also gives peace of mind. As with their other sliding doors, air 20 SL is built to last, offers flexible configurations and should enhance any home or new extension. In line with the rest of the air range, security is excellent, colour choice is extensive, and the air dealer network of top-class installers should give homeowners peace of mind too. We know that reliability, performance and durability is what the air suite of sliding doors is all about. Unlike other manufacturers offering a similar product the air20SL also comes with one of the longest manufacturer warranties as well. The obvious competitor to the air door is Origins’ Inline Slider. Origin’s door is being rolled out to a select group of Origin dealers. Origin’s approach makes perfect sense rather than a full scale-roll out given how different these structurally glazed doors are compared to conventional sliding doors. Our initial research into the air vs origin sliding door reveals a few areas where the air 20SL has features the Origin sliding door does not. air doors are available with dual colour option. The origin is not available with this option. 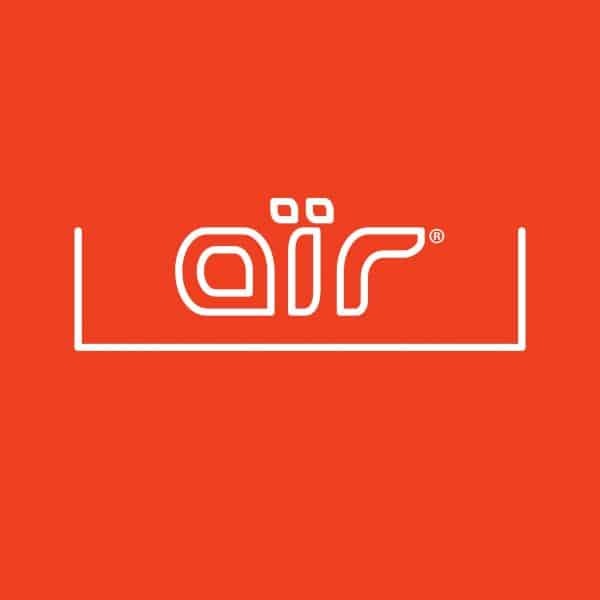 air is offering a fixed light option. We do not believe Origin will with theirs. air doors are available with a sub-cill if needed. air doors come with more handle styles on offer. When the Origin sliding door is formally launched (as it is not yet on Origin’s website), we will review the two products side by side. If you want to create a light-filled home with a latest generation, visually excellent sliding patio door, we recommend you take a look at the air 20SL. Contact us for more information. Have you reviewed the Origin vs Air yet? We are looking for 4 pane slider with all 4 panes moving. apparently you can’t have an outside locking system on the Origin sliders, the door only locks and unlocks from the inside. Can you please provide any advice about this? While the Origin door is available through selected dealers we are waiting until it is officially launched and available on the Origin website before we review both products fully. Do get in touch via the contact form with your location and we can put you in touch with local installers of these doors. Hello, the below should be able to help you. Hope this helps, excellent doors and well worth considering. Do you know if there are any showrooms in or around Hertfordshire where I can see both the Air and Origin sliding doors? Also can you recommend a local installer preferably nearby. Hello Steve, Open Living in Letchworth have a fantastic showroom with Origin Sliding doors and other brands.